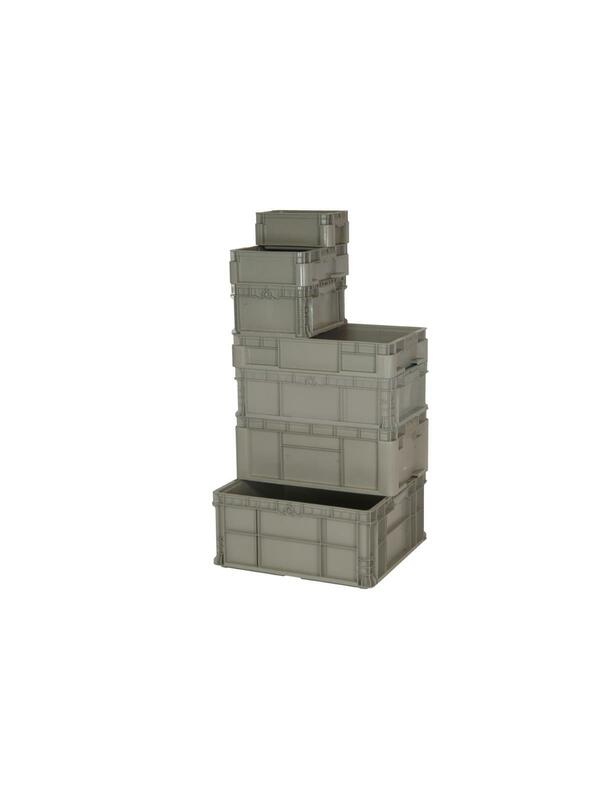 Reinforced corners allow this strong container to hold the heaviest of loads by providing greater strength and durability. Injection molded from high-density polyethylene. 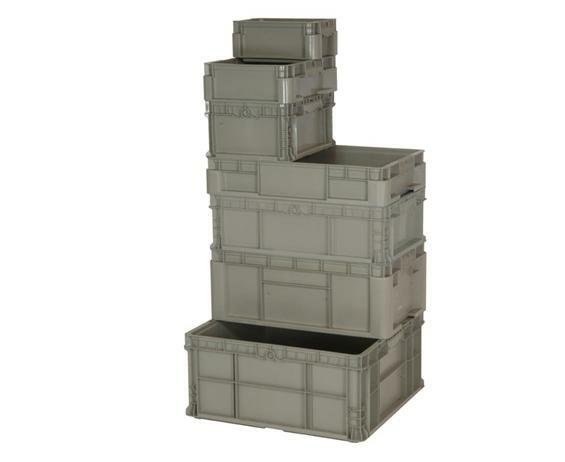 Handgrips on 2 sides make the container easy to handle and carry. Gray in color. FOB Shipping Point. See Related Items tab for Clear Label Holder.